LOVE - Rosa Clara Soft Collection 2018. Beautiful wedding dress/gown with bustle. Immaculate condition - professionally dry-cleaned, no stains, all beading in perfect condition. 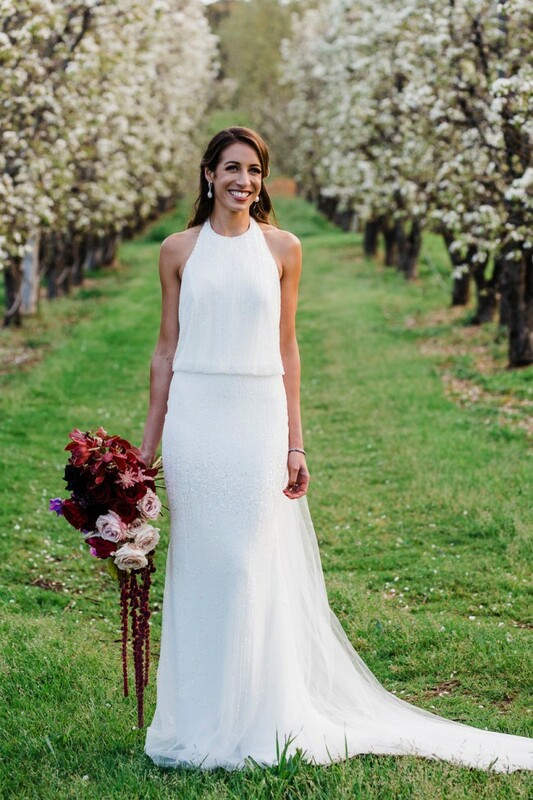 Bought in 2018 from Marry Me Bridal in Mosman, NSW for $2850. I am normally a size AUD 8-10. Rosa Clara gown size 10. I am 171cm tall. I wore 8cm heels with the dress. I found the dress to be extremely comfortable and the material has stretch in it which means sitting down, dancing and moving around is easy and effortless. It is such a stunning gown and I absolutely loved wearing it on my wedding day. Wedding veil is for separate sale. Alternations were made to the length. Cups have been added, though can easily be removed or replaced.